Spier is home to a diverse bunch of passionate people, doing what they love, and committed to making a difference every day. 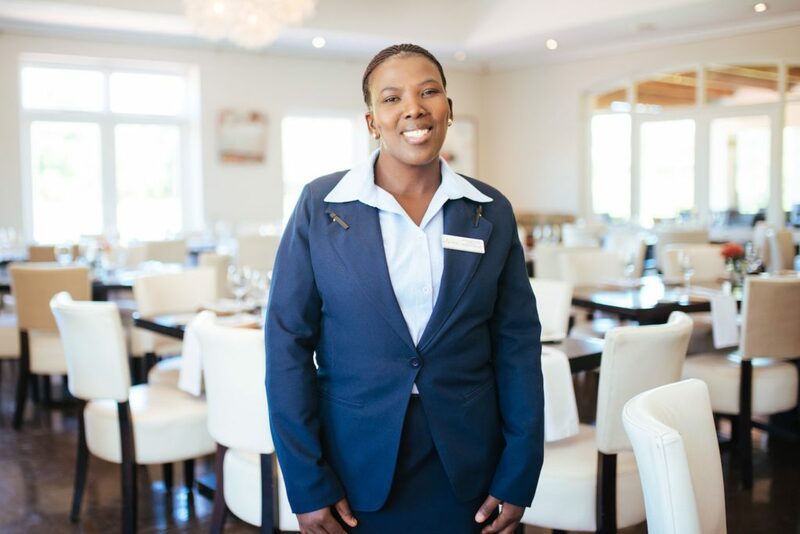 Originally from the Eastern Cape, Joyce Malefane has been permanently employed by Spier since 2006, and has worked in the conference centre, on the switchboard and in the restaurant. She loves singing and is passionately involved in her church. I first joined Spier on a part-time basis while I was studying. To interact with the guests – I love making them happy. I’m good at working with people, as part of a team. Working in a team ensures greater creativity, new ideas and learning. I make sure my team – myself included – recycles everything. It’s important that items are correctly categorised. Until I joined Spier, I never appreciated the importance of recycling. Now I inspire others in my community to take care of the environment too, encouraging them to recycle and not litter. Be nice to everyone. Be friendly and helpful without expecting something in return. My mom, who always made sure that we went to school with full stomachs. She also taught us to respect and appreciate others and fear God. I love singing – I’m a leader of my church choir. I wish that politicians wouldn’t make empty promises. Where is your favourite part of the Spier farm? The Hotel restaurant! That’s where I make everything happen. In Winter – you can wear layers to warm up. When my family is happy, I’m happy. I’m proud of training my staff and inspiring them to make our guests happy. You must love what you do. Be passionate. You’ll make guests happy if you remain patient and don’t take criticism personally.